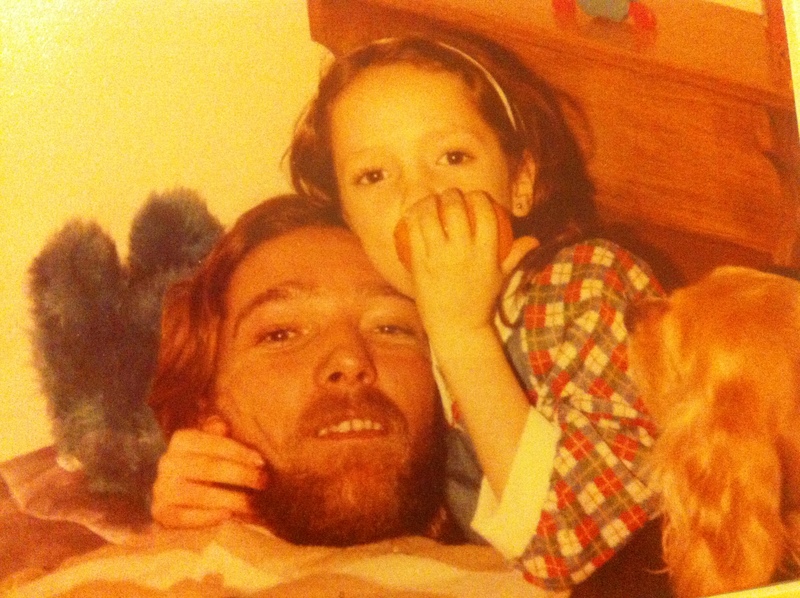 A Homeless, Drug Addicted Father & The Beauty He Taught Me. I love this picture and I loved my Father, but it was not an easy, feel-good kinda love. It was a relationship riddled with layers of pain, sadness, forgiveness, acceptance, and love. The kind of heartache that God uses to transfigure us, to bring true beauty from messy ugliness. My father had a horrible drug addiction that left him hungry for heroine and violently angry when he didn’t have it. 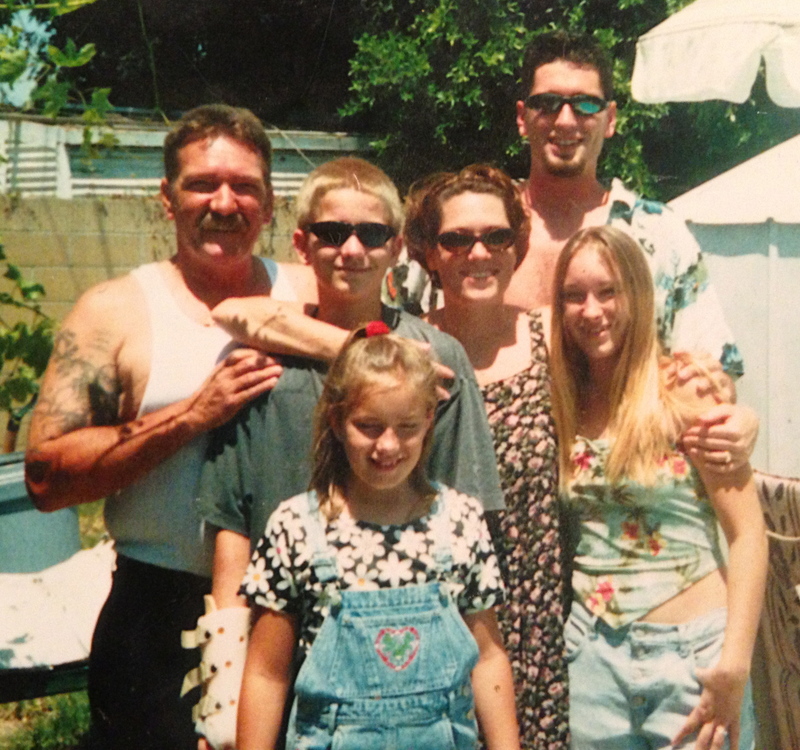 But, I didn’t understand addiction at that young age and I began to fear my dad, the sound of him coming home would cause panic to run over my chest because I didn’t know which dad was going to meet me at the door – happy, loving, high dad, or mean, angry, violent dad. But, I loved him and I always longed for the moments captured in this picture, calm, loving ones. When I was two and a half years old my parents had a little boy, my brother, I’m thankful they gave me him 🙂 Then, around the age of six my mother left my father and eventually divorced him. Visitation with my father was quickly stopped when signs of abuse where evident after my last visit with him. My mother made the decision that we would have no contact with my father again. A wise decision to protect us from his unpredictable moods and reckless lifestyle. But, it left a pain of abandonment in my heart, a gut-wrenching feeling of being unloved, and it hung over me and played havoc in my mind and heart. It effected all that I was; my perspective of myself, my relationships, my life decisions, everything. Growing up I heard stories of my dad being homeless and in prison, of him being remarried and having more children. All I heard was; he doesn’t love you Jade, he doesn’t care about you. Every birthday and holiday that passed with no card or visit – another nail – unloved, unwanted. Painful lies hammered in so deep I thought they would kill me. Then, as an adult I met Jesus and I learned a powerful word – FORGIVENESS! 2 Corinthians 2:10, Colossians 1:14, Matthew 6:14, where the verses that pierced my heart. I realized that a very special healing would come to my heart if I began prying the nails of pain out with prayers of forgiveness. Each prayer began with eyes clenched in pain and a visual in my head of my beloved Jesus dying on a cross, beaten, hated, unloved by many, and uttering the powerful words to his father in Heaven, “Forgive them Father, for they know not what they do”. Oh dear soul, if sweet Jesus can have such grace in His pain, can’t we? So I began, one prayer at a time, forgiving my father. It was a journey of tears, as I asked God to show me each wound that needed the healing balm of forgiveness. As I forgave, I softened, I began to see my father through God’s eyes – beloved son of the most high King, made in the image of God, lost, broken, sinful, but loved. Forgiveness and compassion for my father softened my heart, and bitterness and fear no longer ruled me. I was free! So I began a journey to find my father again, to hopefully tell him I forgave him, and that Jesus loved him. But, oh did God have a surprise in store for me!! Little did I know that as I was working through forgiveness my father had been given a second chance in life – as a convicted felon, in prison awaiting sentencing with a “third strike, you’re out” law hanging over him. But, my dad found Jesus in prison! He was on fire and passionate for the Lord, he had also been on a journey of forgiveness and healing. The Judge saw the change in my dad and released him with the words, “I’m going to give you one more chance”. And my dad took it, when I contacted my father he had just finished two years in seminary school, had a job, had sobriety, had a joyful love of life! It was amazing! So my brother and I (the tall one on the right) made a trip to LA, to meet our dad for what felt like the first time. We found out we had two half sibling, they are on either side of me in this pic, and their half sister is in the front of the picture. What a gift! It was a time of great joy, but also a lot of painful tears. I told my dad I forgave him, he told me he was sorry, it was good, but it hurt. The daughter in me cried over the years of pain and loss of time, the yearning for a father that loved me and was safe. Then, I made a choice to live in what God gives me today. Thankfulness. We had about eleven years of getting to know my dad, of walking through forgiveness and making new memories. He was taken to Heaven a year and a half ago, after a long battle with cancer. Over the years we had together he told me stories of living on skid row in LA, of living under bridges, of drug induced rage, horrible crimes he committed, of life in prison, the hard realities he experienced, the painful choices he made, but he would always end with, “But I’m forgiven, God took all that away and made me new Jade”. My dad has always been the true image of 2 Corinthians 5:17 to me, “Therefore, if anyone is in Christ, the new creation has come: The old has gone, the new is here!” My dad is my beautiful example that God is in the business of transforming us into His image, and no-one is too far gone for his mighty hand! Beauty from ugliness, only God could do. I have a very tender heart for the drug addicted, lost and homeless. Some of my dearest family members are still in this place and it pains my heart, but I have great hope that God can transform them! My husband and I take our children to serve dinner at the gospel mission every month, we want them to see others with compassion. We want them to see that the sweet old man, that may not have showered in weeks, and doesn’t have a home, is the beloved son of God, wanted, and cared about. I think of my dad when I serve them, I wonder if people loved my dad when he was lost, if they smiled and told him with a warm meal or a hug, that he was cared about, that his worth was not found in his current situation but in Christ. I want to raise children that see people through God’s eyes of love and compassion, not our worldly judgments. Not all of my walks through forgiveness have looked like my fathers, not all of them come with reconciliation and closure. But, all of them come with a freeing of the grips of bitterness that entangle my heart when I walk in unforgiveness. Sometimes, the best we can do is a tear soaked prayer with eyes clenched in pain, “Father forgive them for they know not what they do.” Our Lord shows up in that prayer and the healing begins dear friends. Well said Jade, truly heartwarming to read. Beautiful story Jade. Perfect example of how forgiveness can be given from even only one side, and reconciliation can happen when hurt has been acknowledged and changes have been made on both sides. A great view from both ends on the separation too. A need for protection from the adult side, and a feeling of abandonment from the child’s side. It takes a lot of work to teach our children the grey areas in life…the difference between being loved by someone, but not being able to be taken care of by that person. Balance. I know you can intimately relate to my story friend, thank you for the kindness and encouragement. Wow! An amazing story of grace that hits close to home! I love you friend! Thank you Becca, I love you dear friend. So beautiful Jade! Love you!